Philip Johnson was a notable American architect and theorist, best known for the design of his house, the Glass House, in New Canaan, CT. Johnson was a prominent advocate of the International style, and played a vital role in defining postmodernist architecture. He was a proud recipient of the prestigious Pritzker Architecture Prize in 1979. Some of his famous and iconic works include the Amon Carter Museum of Western Art and the New York State Theater, Lincoln Center. 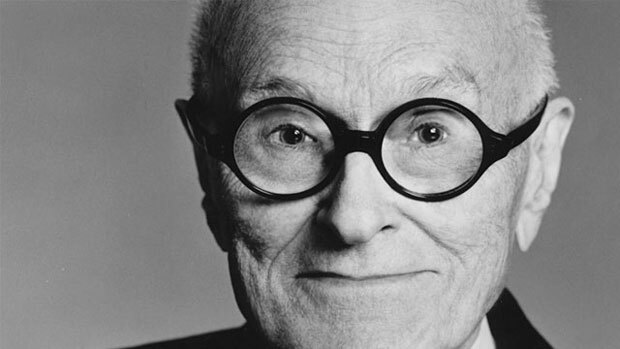 Philip Johnson was born of July 8, 1906, in Cleveland, Ohio. He attended the Harvard University, and graduated in 1930, with a degree in Philosophy. In 1932, Johnson was appointed the Director of the Department of Architecture at the Museum of Modern Art, New York. The same year, he collaborated with Henry-Russell Hitchcock, to compile their highly acclaimed book, “The International Style: Architecture Since 1922”, which deals with the post WWI modern architecture. In 1940, Johnson returned to Harvard, and began his education in architecture under the guidance of Marcel Breuer. During this period, a significant influence on his education was that of Ludwig Mies van der Rohe, and in 1958, Johnsons assisted Ludwig on the Seagram Building, New York City, which is described as the “continent’s finest high-rise building”. Following the WWII, in 1946, Johnson resumed as the director of the architecture department at MoMA, and served there till 1954. In 1947, he published his widely discussed and praised treatise, “Mies van der Rohe”. In 1949, Johnson designed his globally acclaimed and celebrated design of the famous Glass House, which he constructed for his master degree thesis. The house is admired for its rectilinear structure, and its effective use of huge glass panels as walls, making it a remarkable blend of minimalistic and modernistic architecture. In 1967, Johnson partnered with John Burgee, and for the next twenty years, this collaboration has led to the development of numerous critically acclaimed and iconic projects such as the International Place in Boston; Tycon Center in Vienna, Virginia; Momentum Place in Dallas; 53rd at Third in New York; NCNB Center in Houston; PPG in Pittsburgh; 101 California in San Francisco; United Bank Center Tower in Denver; the National Center for Performing Arts in Bombay, India; Century Center in South Bend, Indiana; a Water Garden in Fort Worth, Texas; a Civic Center in Peoria, Illinois; the Crystal Cathedral in California; and a Dade County Cultural Center in Miami among many others. In 1984, Johnson excelled his artistic abilities with the remarkable design of the New York City American Telephone and Telegraph Headquarters, which is designed with a top that resembles a Chippendale cabinet. The building is regarded a prominent landmark in the history of postmodern architecture. In 1989, Johnson decided to retire from the commercial front, and devoted his time to constructing designs and projects of his own. However, he continued to serve as a consultant to John Burgee Architects. Johnson has been the recipient of the American Institute of Architects Gold Medal in 1978, and the first Pritzker Architecture Prize in 1979.